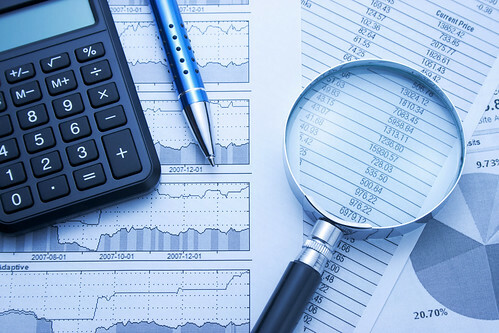 Forensic accounting financial investigative specialists work with financial information for the purpose of conveying complicated issues in a manner that others can easily understand. While some forensic accountants and forensic accounting specialists are engaged in the public practice of forensic examination, others work in private industry for such entities as banks and insurance companies or governmental entities such as sheriff and police departments, the Federal Bureau of Investigation (FBI), and the Internal Revenue Service (IRS). The occupational fraud committed by employees usually involves the theft of assets. Embezzlement has been the most often committed fraud for the last 30 years. Employees may be involved in kickback schemes, identity theft, or conversion of corporate assets for personal use. The forensic accountant couples observation of the suspected employees with physical examination of assets, invigilation, inspection of documents, and interviews of those involved. Experience on these types of engagements enables the forensic accountant to offer suggestions as to internal controls that owners could implement to reduce the likelihood of fraud. At times, the forensic accountant may be hired by attorneys to investigate the financial trail of persons suspected of engaging in criminal activity. Information provided by the forensic accountant may be the most effective way of obtaining convictions. The forensic accountant may also be engaged by bankruptcy court when submitted financial information is suspect or if employees (including managers) are suspected of taking assets. Opportunities for qualified forensic accounting professionals abound in private companies. CEOs must now certify that their financial statements are faithful representations of the financial position and results of operations of their companies and rely more heavily on internal controls to detect any misstatement that would otherwise be contained in these financials. In addition to these activities, forensic accountants may be asked to determine the amount of the loss sustained by victims, testify in court as an expert witness and assist in the preparation of visual aids and written summaries for use in court.